Even though Nintendo never really did anything to commemorate the occasion, this year also marks the 30th Anniversary of Metroid which features the Intergalatic Bounty Hunter and gorgeous blonde Samus Aran. This Blonde bombshell is no bimbo and could turn anyone into a pile of ash with her mighty arm cannon. Samus Aran has travelled all over the universe fighting Space pirates and Alien Dragons and yet 30 years on, it seems she has retired and is reduced to only cameo roles in games such as Super Smash Bros and ahem, Metroid Prime: Federation Force. 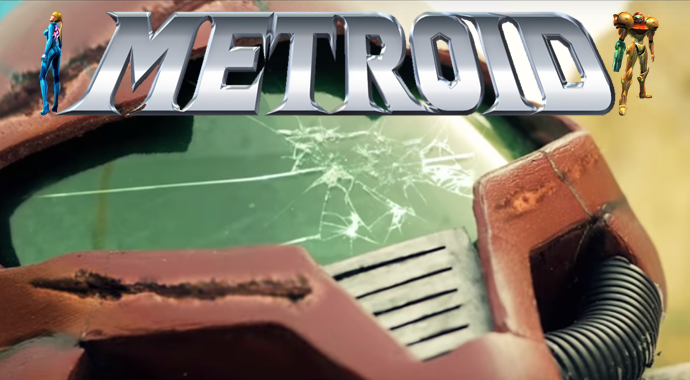 However, fans still show their love and appreciation for the undervalued Bounty Hunter as some talented film makers that go by the name of Ideas For Hollywood, have put together a short film titled “Metroid” and it does look pretty amazing but don’t just take our word on it, check out the video below! If you enjoyed this video and would like to see more of their work, be sure to check out their YouTube channel, they even have a Legend Of Zelda short film as well. As with most independent groups, they are looking for support so please don’t forget to subscribe to their YouTube channel and follow them on Social Media.